As usual the king of sequins remained loyal to his fans with a show packed full of.... yes sequins along with python prints, rainbow stripes and tinselled hair! But one thing everyone noticed while watching the show was the all back model line up including America's Next Top Model contestant Chantelle Brown-Young. The designer definitely made a strong statement about the continued dominance of white faces despite model diversity being an ongoing convo in the fashion world. 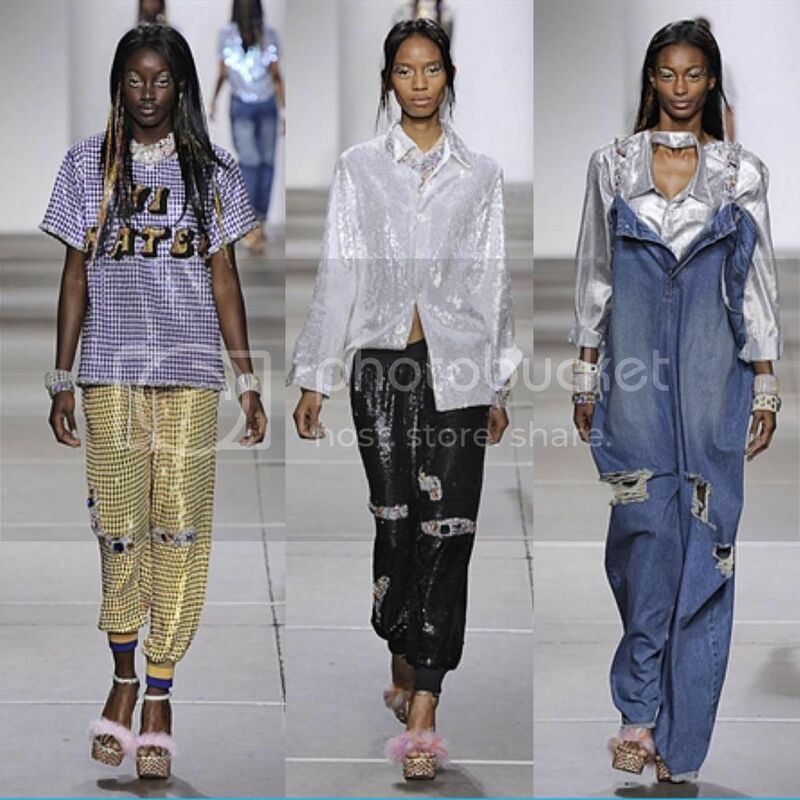 Track pants, bombers and denim were given the Ashish sparkle and super cute pink fluffy shoes added to the mix (coming to Topshop stores Feb 2015). Pop culture influence from celebs such as Kimye and Miley were encrusted onto sweaters. At the end of the show I met US rapper EVE wearing a red Ashish bomber who was more than happy to take a picture.